Click here to purchase your own garden plot. 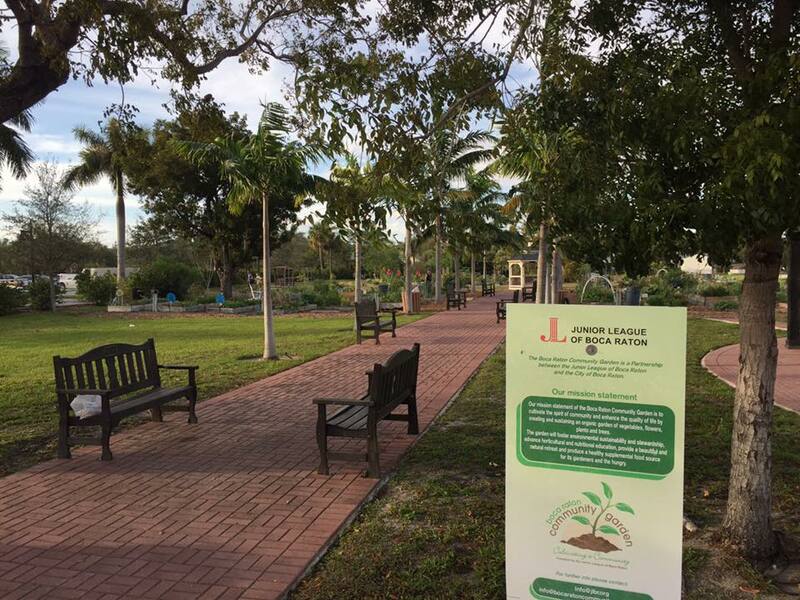 The mission of the Junior League of Boca Raton Community Garden (BRCG) is to cultivate the spirit of community and enhance quality of life by creating and sustaining an organic garden of vegetables, flowers, plants, and trees. The garden fosters environmental sustainability and stewardship, advances horticultural and nutritional education, provides a beautiful and natural retreat, and produces a healthy supplemental food source for its gardeners and the hungry. The Junior League of Boca Raton founded the BRCG and is responsible for managing and maintaining the garden. The City of Boca Raton provides the land and water for the garden. 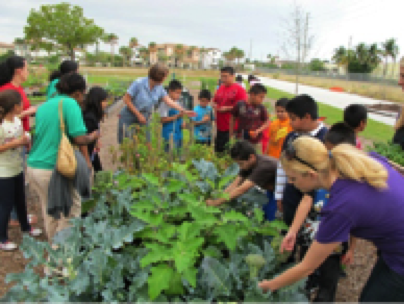 The land for the BRCG was donated by the City of Boca Raton in 2010 for use as a community garden as proposed by Mayor Susan Whelchel. Mayor Whelchel entrusted the Junior League with planning and launching the garden. Architect Wayne Tonning donated the landscape planning for the garden and Sunflower Landscaping, Whole Foods of Boca Raton and Zimmerman tree service also donated significant time and financial resources to helping the community garden become a reality. BRCG broke ground on Earth Day 2010. 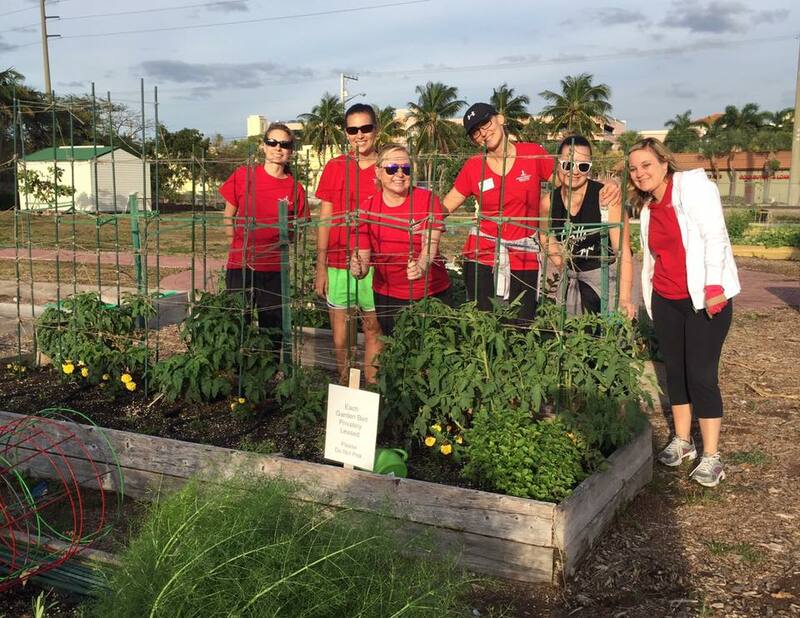 Since then the Junior League of Boca Raton has managed and supported the garden, which now has a total of 97 plots that are leased to Boca Raton residents on a yearly basis. 10% of all fruits and vegetables harvested by individual garden plots are donated to Boca Helping Hands. 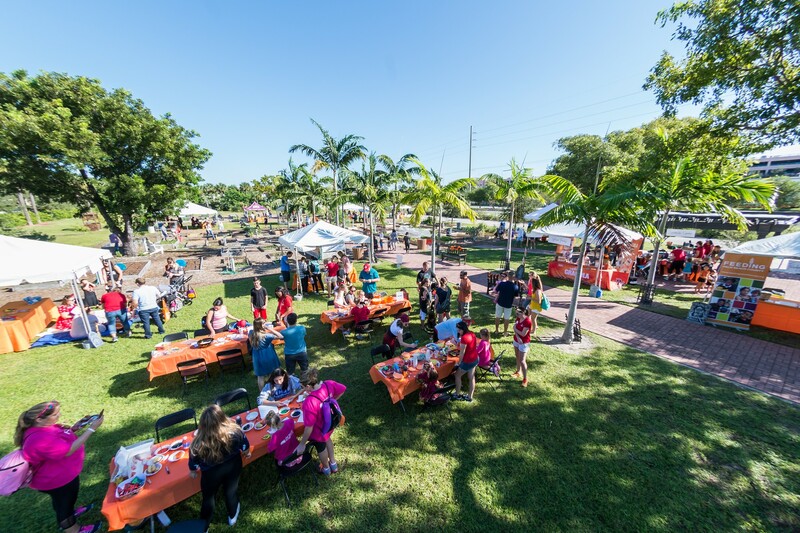 BRCG is the largest community garden in the state of Florida and boasts a beautiful pergola sponsored by Whole Foods Market Boca Raton, a Wildflower Walk and a Permaculture Garden. Additionally, as a homage to Boca Raton’s history of pineapple cultivation, two pineapple patches with 50 donated plants and fruit trees were planted in 2013. Two rows of carambola (starfruit) trees flank the pineapple patches and both contribute fresh and delicious fruits. The wildflower garden was made possible through The La Florida, “Land of Flowers,” Community Planting Grant which allowed Master Gardener Betsy Pickup and butterfly gardener Elisabeth Hoffman to plant and promote native Florida wildflowers in the garden. The Wildflower walk was planted in Fall 2015 and has since blossomed into a buzz of pollinator activity and beautiful wildflowers that enhance the park-like atmosphere at the garden. 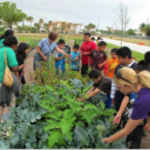 In 2015 under the guidance of gardener Lynn Russell, who is certified in permaculture, a permaculture garden was established with the assistance of Junior League of Boca Raton and other community volunteers. The permaculture garden incorporates four core principals of permaculture, which are Care for the Earth, Fair Share, Care for People, Produce No Waste. Through education and by providing a positive and direct experience of organic gardening in action, our goal and mission at the BRCG is to promote and support environment sustainability and the permaculture way of life. The permaculture garden has already yielded many pounds of highly nutritious organic fruits and vegetables of which 100% were donated to Boca Helping Hands. Opportunities are available to sponsor a personalized brick paver which will be installed at the garden in the Fall and in the Spring. Please click here to purchase a brick. Brick pricing starts at $100 for a 4 x 8 brick. New Gardeners: If you are interested in leasing a garden plot, please click here. Existing Gardeners: All Gardeners must agree to the Garden Agreement and the Release of All Claims. After you have read these documents, you may click here to pay for your garden plot.